Dr. Wang’s first research stream is crisis prevention and readiness. It attempts to investigate the key factors that constrain or facilitate the adoption of preventive behaviour of individual and organisations. 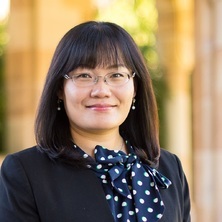 Dr. Wang is interested in exploring the role of technology in crisis management and is investigating how to use global technologies and social media to empower the crowd to survive a crisis? In addition, she is also researching the antecedents and outcomes of affective and cognitive readiness for risks, crises, and nature disasters in the travel and hospitality context. Dr. Wang’s second research stream is risk reduction and communication. The digital media (mobile telecommunications and web-based systems) has changed the way of risk communication. Jie’s research aims to investigate how these new medias and their new forms of social interaction and influence affect risk reactions. One particular area is healthy travel. She aims to build a better understanding of travel health of tourists, and explore a more effective health advice and communication to those high-risk segments.